Rivers State Governor, Nyesom Ezenwo Wike has declared that his victory at the Supreme Court is a victory for the rule of law and the people of Rivers State. Governor Wike added that the Supreme Court judgment is a victory for democracy and a confirmation that the will of God will always prevail over the machinations of men. In a statement issued by Simeon Nwakaudu, Special Assistant to the Rivers State Governor on Electronic Media, Governor Wike said that the judgment of the Supreme Court validation of his election is a confirmation of the mandate freely given to him by the people of the state. 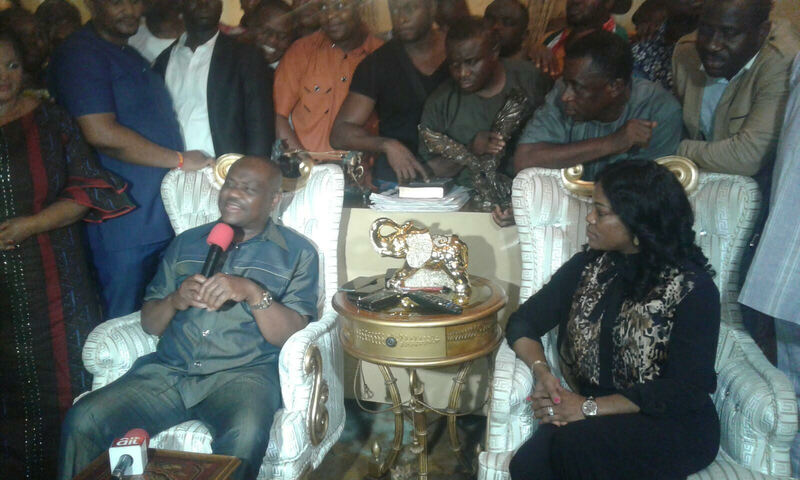 Governor Wike trekked on the streets of Port Harcourt before ending up at the Government House. As he walked the streets he was greeted by celebrating Rivers people. While assuring the people of Rivers State that his victory at the Supreme Court will lead to greater delivery of democracy dividends across the state, Governor Wike extended a hand of fellowship to the Rivers State APC Governorship Candidate, Dakuku Peterside to join hands with his administration to develop the state. He praised the APC Governorship Candidate, Dr Dakuku Peterside for approaching the Judiciary, instead of embarking on violence. He stated that the people of Rivers State will continue to benefit from the pro-people projects and programmes of his administration as he is determined to always to live up to the social contract he entered with the Rivers people. Governor Wike specially thanked all Rivers people for their faith in him and his administration.